Hearing loss often occurs gradually and because of the gradual onset many people may have a hearing loss without realizing it. Others may suspect they have hearing loss, but choose not to address the loss due to embarrassment or denial. Do people complain that I turn the TV or radio volume up too high? The adjustment period to hearing aids varies among individuals. The longer you wait to treat your hearing loss with hearing aids, the longer it takes for your brain to adjust to your new hearing aids. 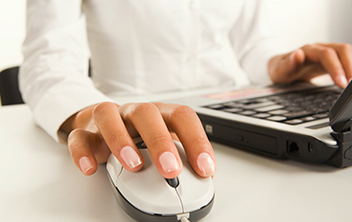 Success can be as little as two weeks for experienced hearing aid wearers. For others, especially new hearing aid wearers, the process can be anywhere from one month to one year. By working closely with your hearing professional on follow up visits and adjustments to your hearing aid settings, the adjustment period may go quicker. Sound from my hearing aids doesn't seem natural. Why? You are now hearing speech sounds that you were not able to hear before because of your hearing loss. This unnatural sound quality will eventually improve as your hearing nerve and brain adapt to hearing these frequencies (sounds) again. Your auditory nerve and brain need time to adjust and eventually the quality will improve as well as your speech comprehension ability. Continue to wear your hearing aids as much as possible. Many users want to remove them due to the unnatural sound quality. By removing them you are not allowing the nerve and brain to be stimulated and it will take longer for them to adapt to the new sound. Is it normal for my ears to be sore from my hearing aids? Minor physical sensitivity may occur in the first few days of wearing new hearing aids. As your ears become familiar with your hearing aids this problem should subside. 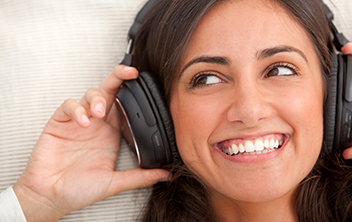 If irritation persists or a sore develops, consult your hearing professional immediately. 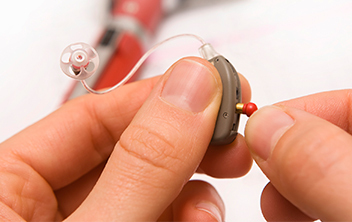 In some cases your hearing aids may need to be slightly modified physically for a better fit. The hearing professional has specialized tools to modify the physical fit and improve wearing comfort. What do I have to do to maintain my hearing aids through the years? You should visit your hearing professional at least once a year to have your hearing tested as well as have your hearing aids cleaned and checked. Your hearing aids are susceptible to earwax, dirt and dust, and varying degrees of moisture depending upon your climate and level of physical activity. All of these factors can eventually inhibit the performance and operation of your hearing aids. Continual care for your hearing aids involves cleaning your hearing aids as instructed by your hearing professional in addition to following the care instructions listed in your operation manual. If you live in a climate with high humidity or use your hearing aids during physical activity, it is recommended you place your hearing aids in a hearing aid dehumidifier at night to reduce the amount of moisture inside the hearing aids. Moisture and wax build up are often the most detrimental to hearing aids and if steps are taken to reduce the negative effects of these factors the performance and life of your hearing aids can be extended. If you think that you have a hearing loss, schedule an appointment for a hearing test today. The sooner a hearing loss is treated, the better outcome you will have.